It’s not uncommon when a company tries to change its image and takes different names. In iGaming industry this practice isn’t rare as well, and GamesOS is among such providers. In iGaming world, Riga is known as the country with multiple live casino studios. GamesOS offers variety of games and is indirectly related to live casino as well. It doesn’t produce software for live games, but has reached the deal with Entwine Tech to distribute 3rd party live casino software through its platform. This relatively unknown supplier has its own platform with quite solid number of in house creations. Even though most of their games would seem familiar to you, as there are many similar titles out there, some of them do have unique features. Apparently, operators love this provider because you’ll see quite big number of iGaming websites offering their games. Generally, these are safe and reputable casinos, so you wouldn’t worry about being cheated. The supplier’s key to success is probably their flexible platform which can suit their needs. 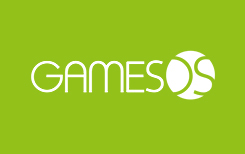 GamesOS is a responsible software provider and therefore has acquired all necessary licensing to serve its markets. Whatever the operator does, it has the right to do. Whether it’s producing and distributing casino games or any other activity. Their creations are tested by laboratories to prove the results generated by RNG are random. You should be mostly afraid of new suppliers which don’t have highly valuable brand names. GamesOS has stood the test of time and has built good reputation. It was launched in 2004, and for well over a decade it has been building trusting relationships with many operators. As a result, everyone knows their games are safe and fair. Overall, GamesOS can offer close to 200 games, around 30 of them can be played on mobile devices. The collection of mobile titles consists of all types of entertainments, including slots, poker, blackjack and roulette. That’s basically a decent portfolio, and users will have access to most popular games. One good thing about mobile GamesOS creations is that punters can enable both portrait and landscape modes. There are three roulette variations and seven variations of blackjack. If you love this card game, GamesOS casinos would offer you a nice selection. This supplier has blackjack with surrender feature giving you a chance to fold bad hands. Switch variation of the game is also available and it gives punters the opportunity to play multiple hands and switch cards from one hand to another. Another interesting type of the game is progressive blackjack. The company has also designed a lot of interesting video poker titles – over 25 of them. Unlike many other video pokers, these titles have interesting visuals and therefore offer much more immersive experience. The games feature great emperors, warriors, adventurers, mystic creatures and many more characters. Most of the games have several variations which are the same except for the number of lines. There can be 1, 4, 10, 25 or 50 lines meaning that players can have from 1 to 50 separate hands. GamesOS loves creating slots that don’t look or feel the same. There are 243 ways to win and regular titles, quite primitive and feature packed slots. Some even have unconventional reel structure. One of them is Magic of Oz. It’s a six reel video slot. From left to right each reel has growing number of symbols and as a result, the slot looks pretty unique. There are just few video slots with similar designs. On top of that, Magic of Oz offers you a thrilling bonus round.